SKU: 110740. Category: Heads. 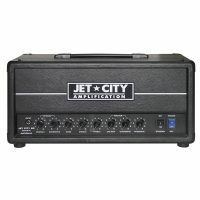 Tags: 20 Watt, Crunch, Foot Switch Compatible, Jet City, Martin Kidd, Overdrive, Tube, Two Channels, Valve. 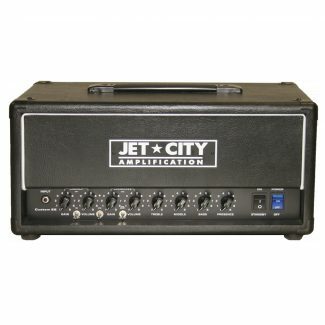 Select “JJ Valve Upgrade”, and we will upgrade all the valves in the preamp and poweramp sections of your head with high quality matched JJ valves in our workshop, and test before shipping. 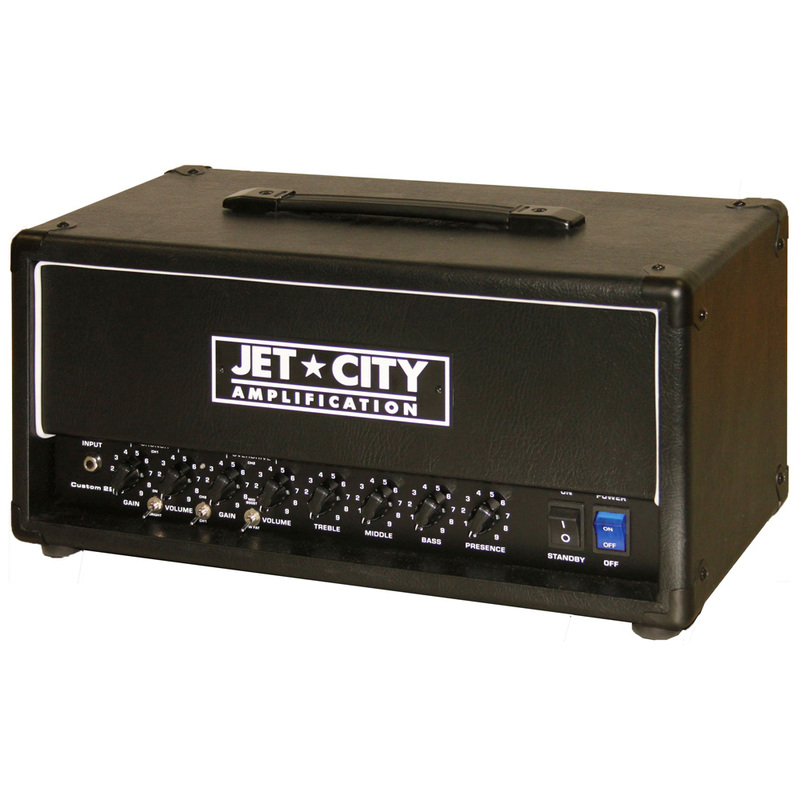 The Custom 22 is built on our 20 watt platform, and voiced by British amp guru Martin Kidd. The updated Crunch channel has less gain than its predecessor and the Overdrive has even more gain. The result is an entirely new voice with greater range and touch-sensitivity. Further tone shaping is possible via a bright switch and mid-boost / low fat switch. 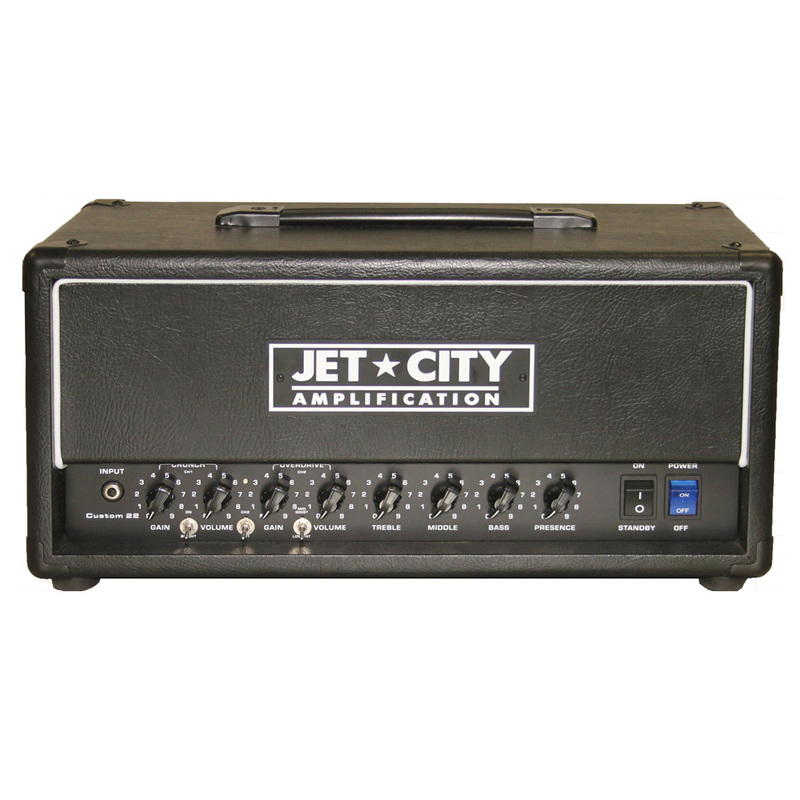 The simple feature set is rounded-out with a pedal-friendly effects loop and front-panel channel switch. 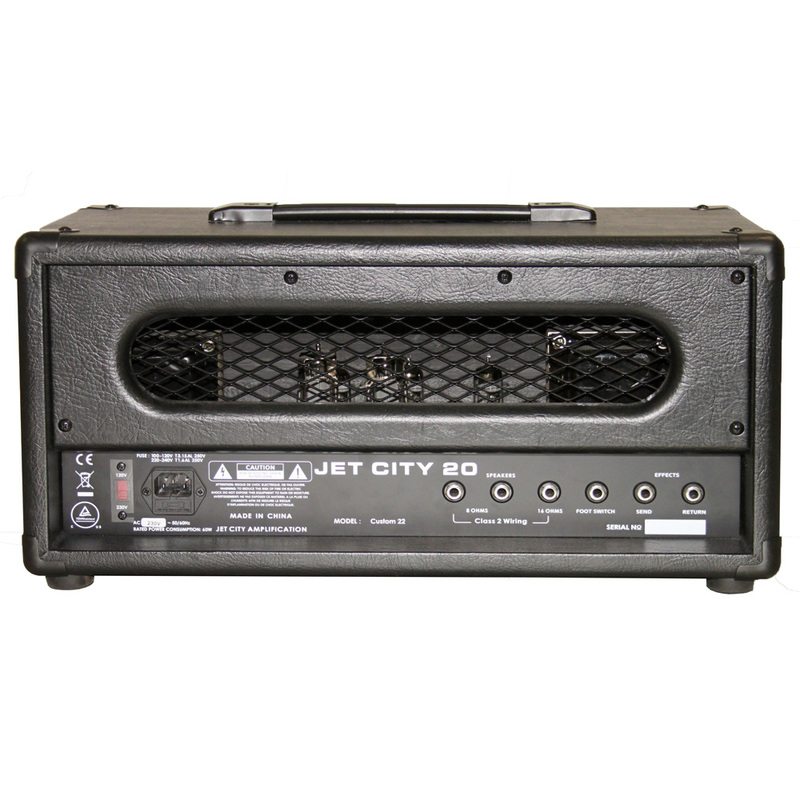 Jet City Amplification by Mike Soldano and Douglas White now in the UK!